As we reconvened the team to continue exploring questions that intrigue us, we decided to ask ourselves: “If insurance were a superhero, who would it be?” We had a lively discussion, told stories, sketched ideas and came up with a few answers. But you may have a question of your own: why? strive to do it with personality. We need to create experiences that are unique, memorable, maybe even heroic. kinds of design thinking exercises that help push our creative thinking beyond the obvious. It helps us explore ideas, make connections, create analogies, and focus on what’s really important. 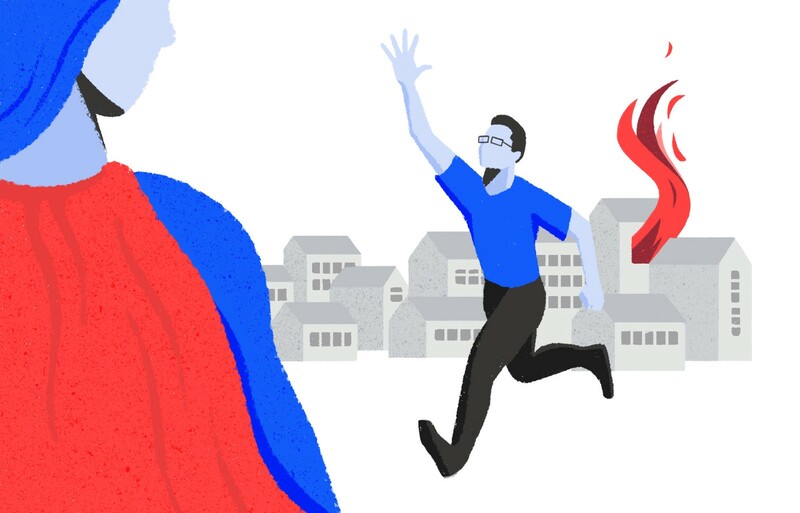 Considering insurance as a superhero is a way to think richly about what we do every day. It’s also fun. She can also help you in ways where you don’t see her actions, but you see the general result. Gaia is associated with balance, goodness and calmness. If you have her on your side, you feel much safer and confident. The actual suit is what makes Ironman a superhero. It protects, enables, and enhances its wearer in every possible way. All the parts are interchangeable and upgradable. That helps Ironman stay on top of the game and adapt to all different kind of needs in a constantly changing world. 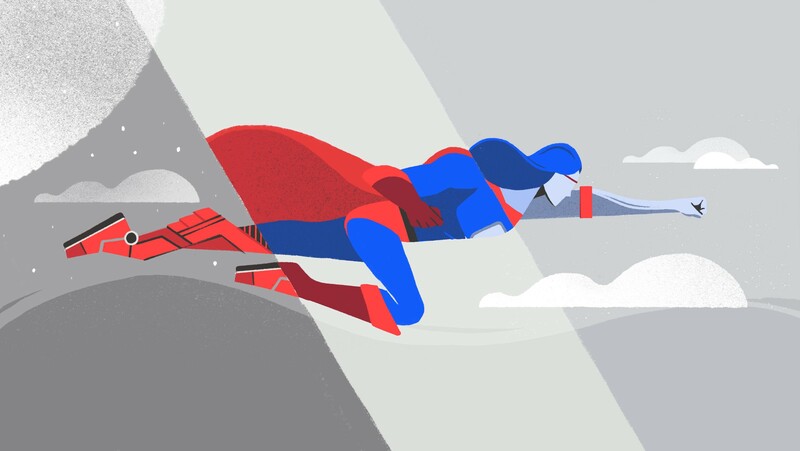 Superman’s the hero who drops out of the sky whenever and anywhere he is needed. He’s fast, accessible and available. He devotes his life to helping and protecting people in difficult situations and taking charge of any stray problems that others can’t cover alone. He’s a kind-hearted hero with a strong sense of justice and righteousness and is reliable and dependable, like insurance. goes on. As we thought about all these qualities of superheroes and the ways we would like insurance to come to the rescue, we created a short manifesto for our insurance superhero. For a superhero, it’s not only about the money, it’s about doing good. This could translate into rewarding people for living an active, but not reckless, lifestyle. It could mean the gamification of habits — 15 minutes of running allowing 15 minutes of game play on your smart phone. People don’t have to ask superheroes for help, they know when they need it. That could mean insurance that protects people who embrace a nomadic lifestyle. This insurance could go with you, taking into account the cultural and legal differences between your home country and the country where you now reside. Superheroes can adapt and change to any problem or situation. For insurance that could mean supporting a change in career or finding new ways to work after an occupational accident; or helping people work with a financial advisor to support downscaling to live on a lower monthly budget. Whether they’re rich or poor, young or old, friends or people they haven’t met, superheroes are always there. 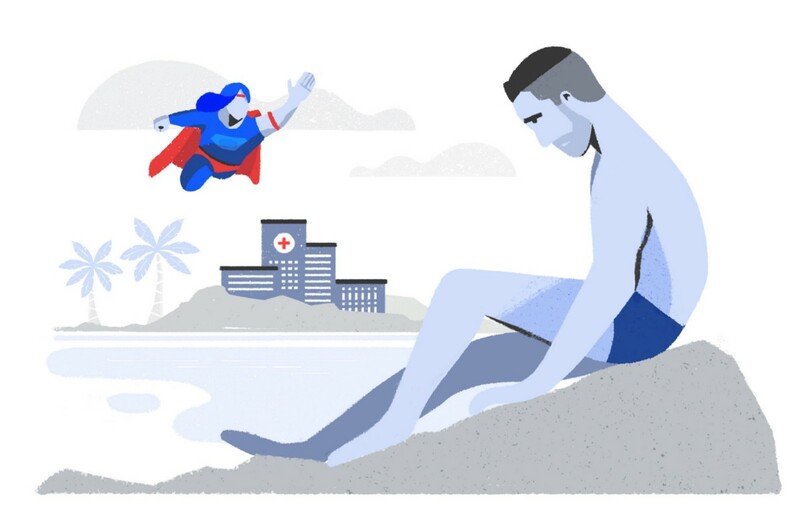 For insurance, that could mean crafting a truly personalised portfolio of coverage for every individual — then showing up when it’s needed most without having to be asked, because everyone needs a superhero sometimes. To see how this saga continues, stay tuned for the next instalment. Or read about some of our past adventures.